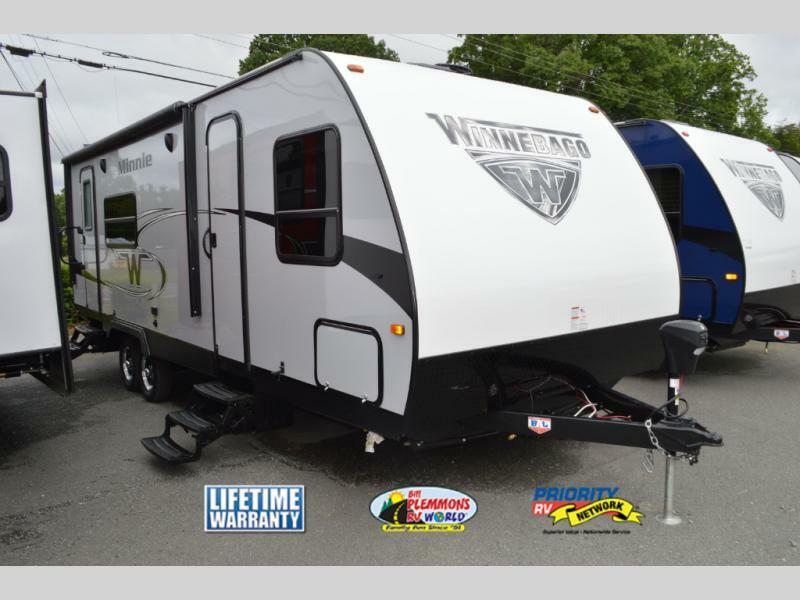 Since Winnebago has unveiled it’s new line of towable RVs, their travel trailer designs have take the RV world by storm. Lightweight durability, a creative use of interior space and head turning good looks have made these campers a hit among a wide range of RVers. So, what is the difference between the various Winnebago travel trailer brands and which one is right for you? 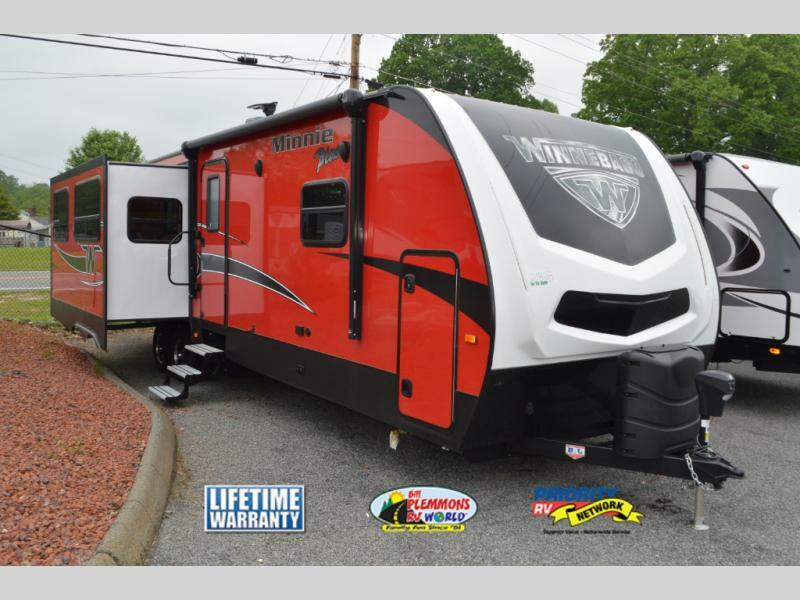 All three Winnebago brands are constructed using high quality components and are available in various eye catching colors such as red, blue and platinum. Let’s take a look at some of the features these versatile campers have to offer. Lighter and thinner than the Minnie, the 7′ wide Micro Minnie is ideal for campers using a smaller SUV or crossover for a tow vehicle.These lightweight campers feature an aerodynamic front profile, a six sided aluminum super structure, heated, enclosed tanks and laminated sidewalls. Great on gas, the Micro Minnie is excellent for RVers interested in maximum fuel efficiency. A step up in size, the full width Minnie offers an increase in interior room while remaining less than 5500 pounds dry weight. All floorplans feature a space expanding slide out room and an 8′ wide box. 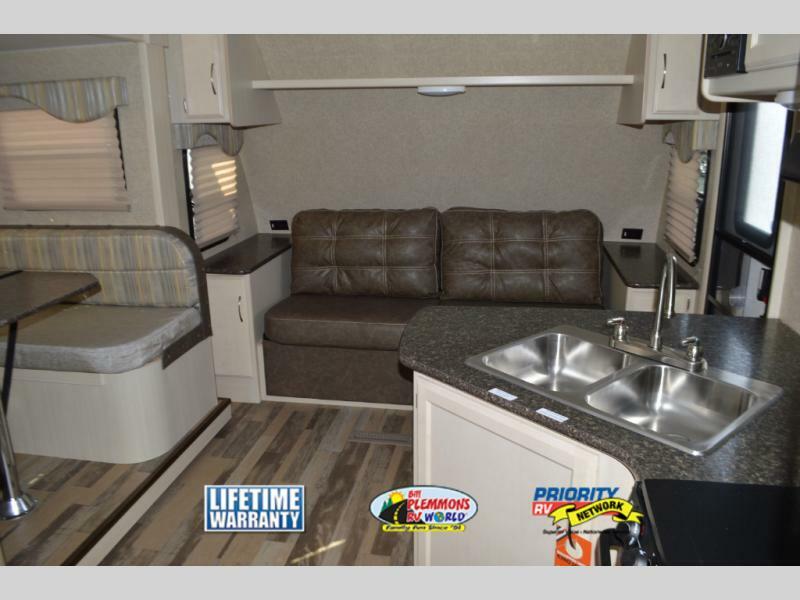 With floorplans that can sleep up to 8 such as the Minnie 2455BHS, the Minnie is an excellent choice for larger families. 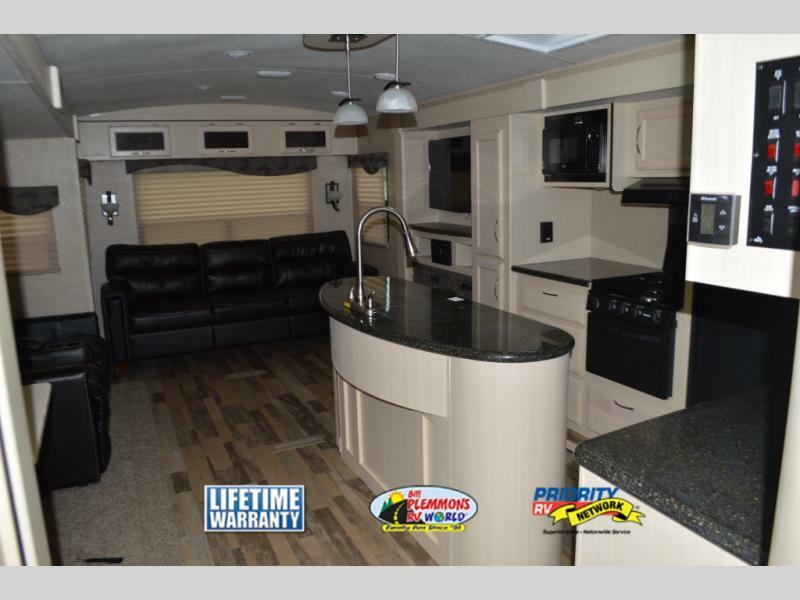 The fully equipped kitchen, bathroom and living area makes the Minnie a home away from home. Upgraded features can be found inside and out of this lightweight trailer. When only the best will do, the Minnie Plus is the perfect choice.You will find a large list of high end amenities such as solid surface counter tops, an electric fireplace (depending on the floorplan), a curved interior roof and a residential 80″ long queen sized bed. The aerodynamic fiberglass front cap cuts through the wind while towing. The true gel coat fiberglass exterior will keep your Minnie Plus looking fantastic for years down the road. 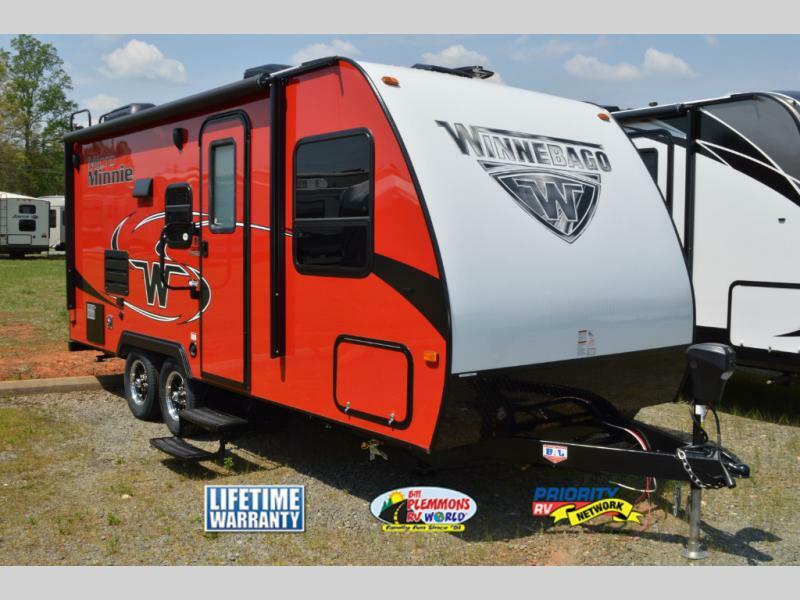 Whichever Winnebago Industry Towable is right for you, there is one thing for sure, you are getting an amazing RV that stands out from the crowd. Contact Us at Bill Plemmons RV World RV or visit us at One of Our Locations for a personal tour by one of our RV specialists.